The Inspired Business Academy Specialises in Business Building and Marketing for Coaches and Consultants. We believe that you can have a business that is aligned with your purpose which also generates a significant income doing what you love. As well as marketing we teach about mindset and how to incorporate your personal values and spiritual path through running your own business. We can help you to position yourself as the ‘Go-To’ Expert in your field so that you can increase your impact, make a bigger difference become well-known as a specialist in your area. What problems can we help with? In summary, our purpose is to help you create a highly profitable business that gives you the freedom and lifestyle you want. Many highly successful entrepreneurs agree that around 80% of success in business is down to mindset. We believe you need both the right marketing strategy and the right mindset, but most people don’t have the specific tools and techniques for improving their mindset. Your marketing will be based on activities you enjoy doing. When you feel inspired and energised you are highly attractive to potential clients. Your inspiration and your vision combine to help you take your business to the next level. Most coaches, consultants and trainers are highly skilled when it comes to delivering a good service. What they are not so good at is marketing and knowing how to attract the right type of clients consistently. They struggle to get their work out into the world and often they undercharge clients resulting in a lower income than they want. Despite offering a valuable service after the extensive training they have usually undergone, they often fail to meet their financial and lifestyle goals. They all to often find themselves overworked and underpaid. Running a business and knowing how to get clients are vital skills which usually they have not been taught. Even when they do have a background in marketing, they often find that the mindset required when running their own business and ‘selling themselves’ demands a totally new approach. Lisa Farr has been helping small business owners to get more clients and make more money since 2001. She has over twenty-five years experience in marketing and is a Fellow of the Chartered Institute of Marketing, which puts her in the top 3% of marketers worldwide. The marketing strategies she teaches have all been tried and tested – they have the potential to take your business to the next level (and have already done this for many others). Using these same marketing strategies, she built an international student recruitment business from scratch to generate an annual turnover of over £450,000 within four years – and she was only working 3 days a week! She has helped hundreds of business owners to improve their marketing and get more clients. Her passion is to support experts in achieving greater financial success through doing what they love. Many clients report doubling, or even tripling, their income as a result of working with her. With a B.Sc (Hons) in Management with Marketing from one of the top university business schools, her marketing career has spanned working for several universities and colleges, as well as in the private sector and an environmental charity. In 2001 following further training as a coach, she began helping professional service businesses to get more clients and take their business to the next level. In 2010 her business went global, she was helping clients from all round the world including Sweden, Germany, USA, Australia and Hong Kong. 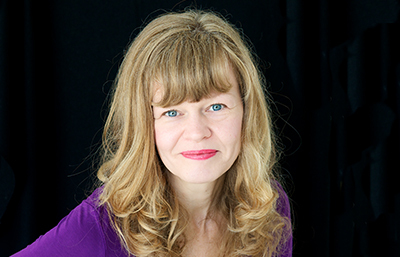 Lisa has been working with mindset techniques since 1992. Realising how crucial mindset is to the success of any business owner she specialises in an approach which blends mindset techniques alongside traditional marketing strategies. By using over 40 years experience in a variety of sales and marketing positions, Richard can help you develop a strategy that is tailored to suit your unique situation – both for you personally and for your business. BSc (Hons) 2.1 Degree in Combined Studies from Plymouth University. Member of the Chartered Institute of Marketing (MCIM) having gained their Post Graduate Diploma in Marketing (DipM) in 1992. After an aborted early career in banking, due to being on the receiving end of an armed raid by masked robbers in 1972, he got a job in sales. Within 2 years he was promoted to UK Sales Manager for a large Glasgow Import & Export firm where he built up a large and successful UK-wide agency network. Richard then worked for UK’s largest, distance learning based, computer training company, winning their ‘Top Sales Executive’ prize in his second month there. His many years experience as a self-employed Marketing Consultant include working with universities, FE colleges, government agencies as well as with businesses and specific industry sectors, often working as a bridge across these boundaries. Much of this period was spent helping SMEs (small to medium enterprises) to grow. More recently he has advised and mentored small business owners helping them to expand in both a manageable and profitable way. As well as working with businesses on their marketing strategy, he also helps with their writing including websites, newsletters and how to present their biography.